New Yorker Eddie Ryan could arguably be named one of Puerto Viejo’s original expats. He’s been living here since the 1980s. 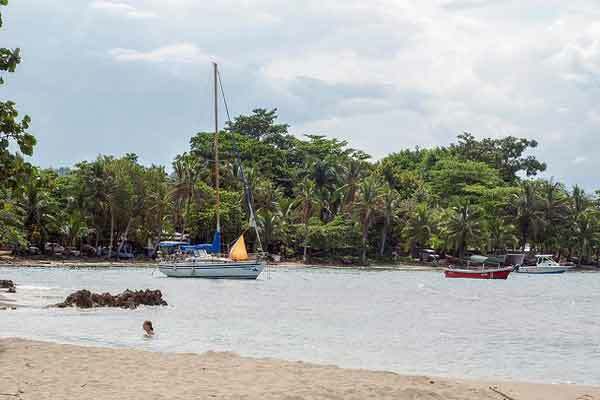 The harbor at Puerto Viejo is popular with pleasure craft. About four years after that fateful first visit, Eddie found the property where he lives today. It’s just across the road from Playa Cocles, a 40-minute drive north of the Panamanian border. 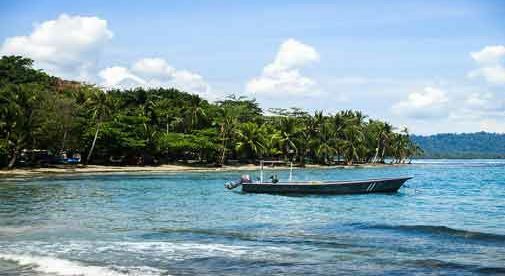 Cocles is one of a small, coveted group of beaches that the Costa Rican government has awarded its Blue Flag designation for pristine coastline. “There weren’t even real estate agents in the area at that time, although there are many today. Back then, I just got connected through a friend of a friend to the owner of the property, and basically bought it with a cash advance on my credit card,” he recalls. Eddie tells too how it’s a great community in which to live. “Life here is all about the natural beauty and the community coming together. Everyone does their part, and the people who are happy here are those who come with the intention of becoming a part of it,” he says. And while it’s far removed from New York, there are still some of the comforts and tastes of home too. “You can get DirectTV and your NFL package to catch all your games. And you can find imported Parmesan cheese at the grocery store…but all in all, it’s a whole other world from a city like New York,” he says.